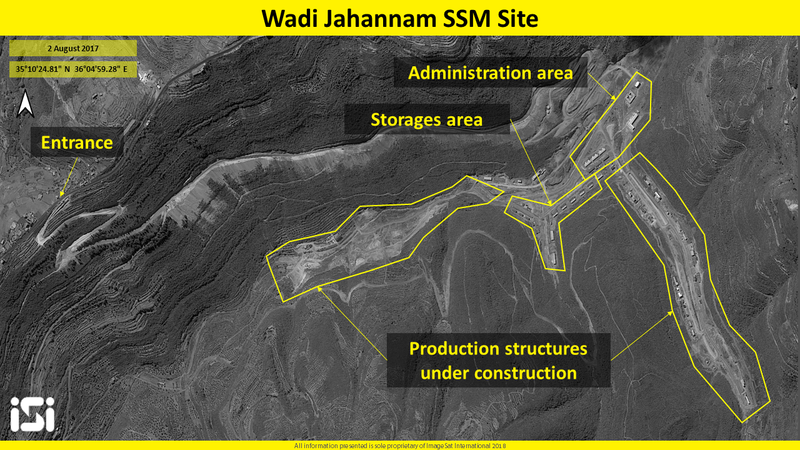 Satellite images have revealed that Iran is building new missile bases in Syria, most notably in Wadi Jahannam in Banyas west of Syria. 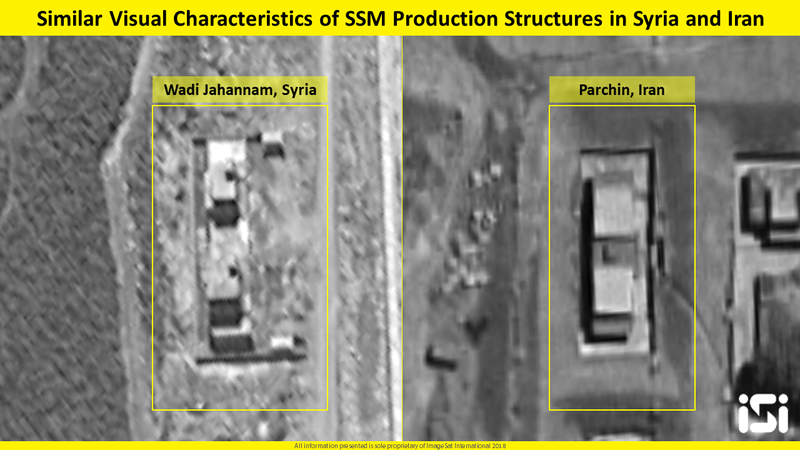 The images taken by Image Sat International were released in a detailed report, show that a facility in Wadi Jahannam, designed to manufacture and assemble different types of missiles similar to the two military bases of Parchin and Khujir inside Iran. 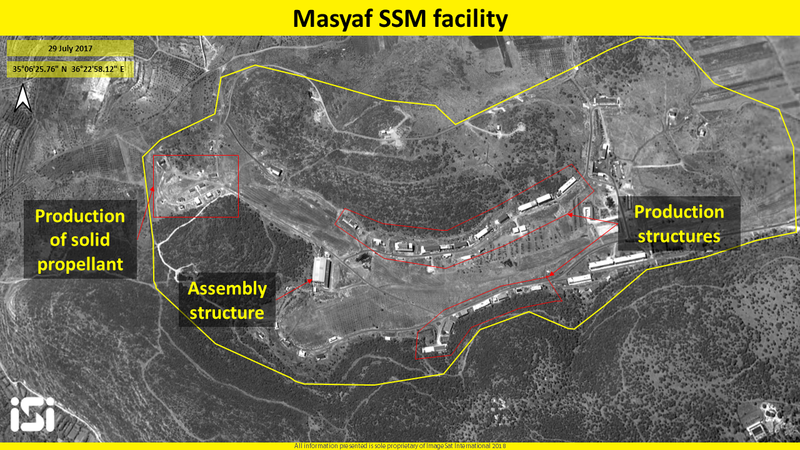 The report noted that it is likely that the same Iranian elements are behind the planning and construction of this facility which is at the final stages. The company estimates that this construction will be completed in the first months of 2019. 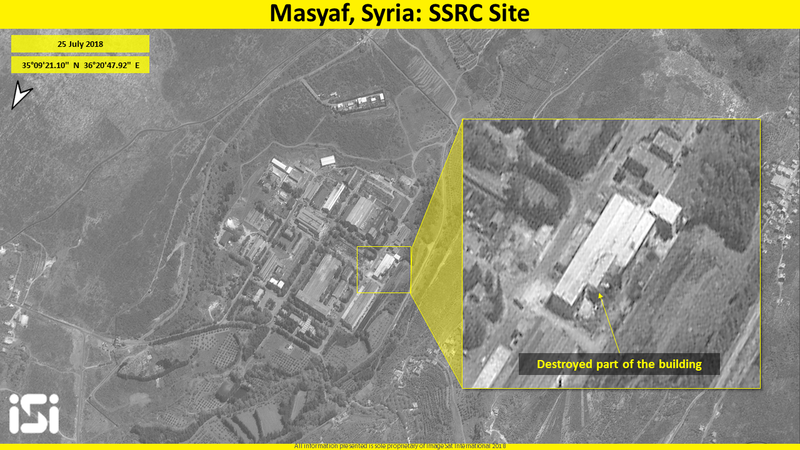 Also there is another site which included a surface-to-surface missile production line built inside an old Syrian military base in Masyaf region in the north-west of the country. 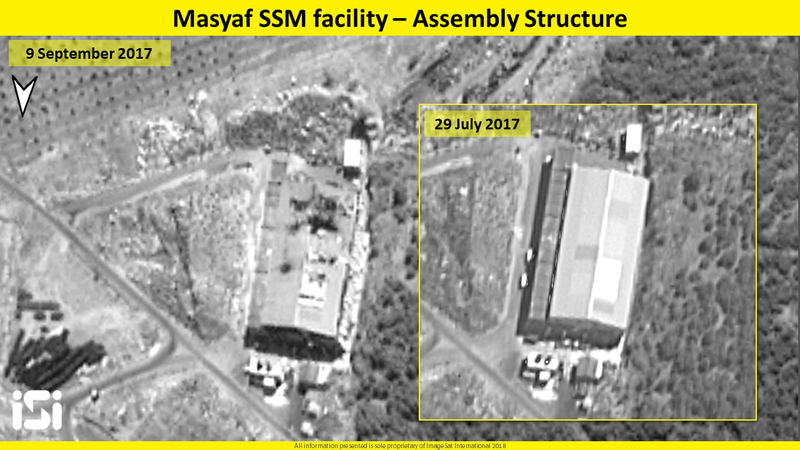 This base was converted to fit the current purpose, the same as the one that was attacked on 7 September, 2017 by the Israeli Air Force. 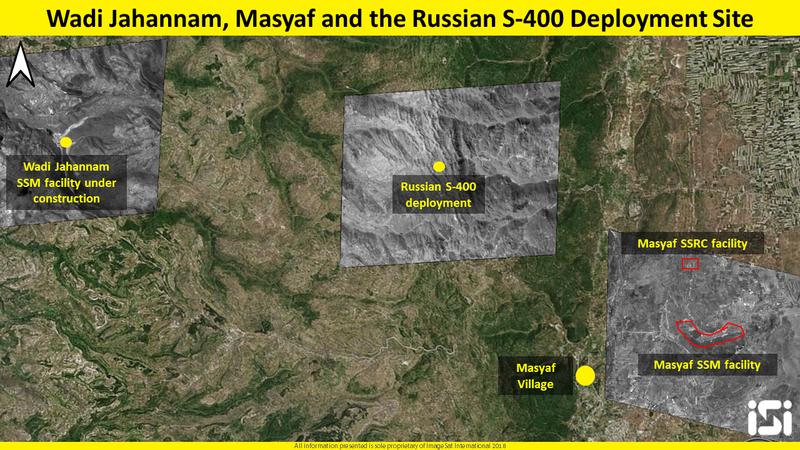 The locations of Masyaf and Wadi Jahannam are both within the scope of the operation to deploy the Russian S-400 missile defense systems, whereas Russian forces are deployed throughout the country in support of the Syrian regime. 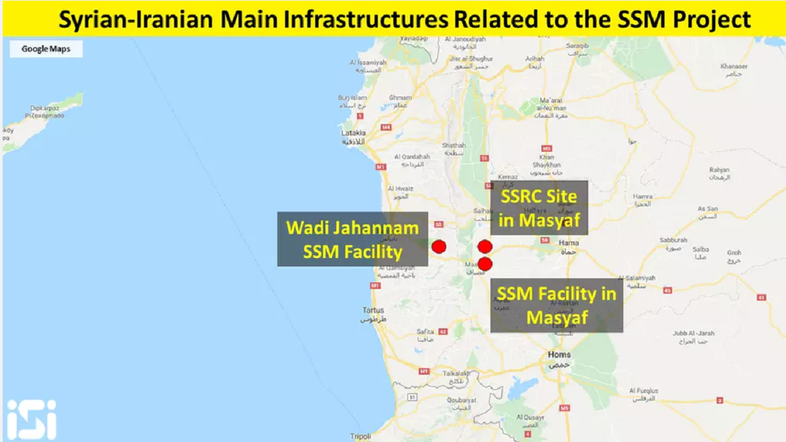 The report pointed out that Iran chose these strategic sites because of the Syrian regime which moved its strategic infrastructure to the north of the country following the escalation of the Syrian revolution. 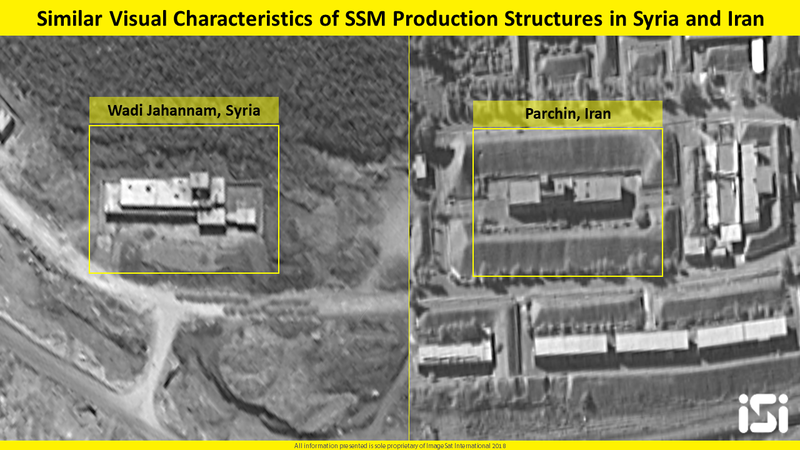 The Image Sat International report also referred to the visist of Iranian defense minister Amir Hatami last Sunday to Syria, where he announced that Iran has the ability to help Syria build capacity and expand military capabilities in the country. 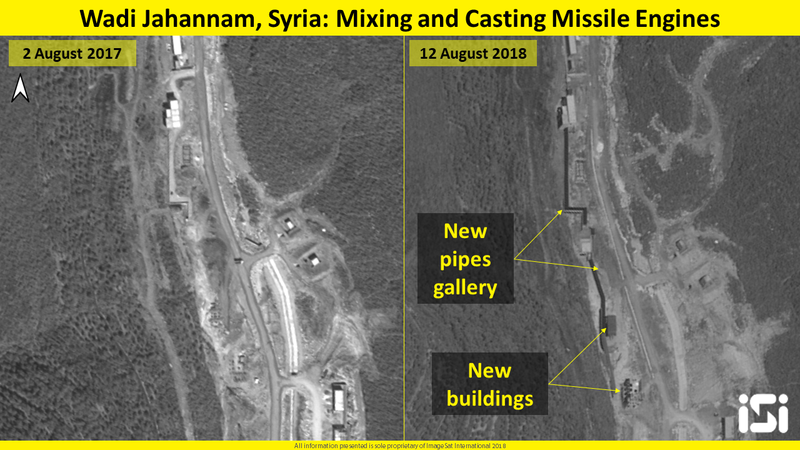 The report confirmed that Iran’s intentions, as expressed by Hatami’s announcement, as well as satellite images clearly indicate that Iran is rebuilding the military infrastructure of the Syrian regime, especially in the field of production and development of surface-to-surface missiles. 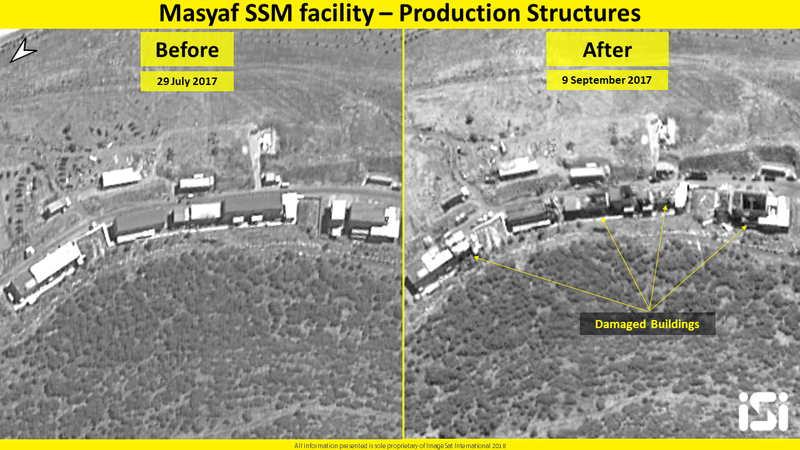 In recent months, several attacks have been launched against various facilities in Syria, most of which targeted the missile infrastructure, but one targeted Dr. Aziz Asbar, who was managing the project to develop the Syrian missile system. Asbar was the head of Sector 4 at the Center for Syrian Studies and Research, and had close and long-term relations with Iran and Hezbollah. 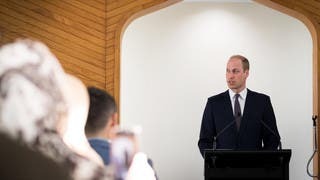 Because of his important role and his own relations with Iran, he is likely to have played an active role in the construction of the new facilities in Masyaf and Wadi Jahannam, which were designed according to Iran’s objectives and its missile system in Syria, according to the report. The report stressed that Iran continues its activities in Syria in clear violation of international resolutions, and is expected to send the technology of missile system developed in Syria, to Lebanon’s Hezbollah as well.